A superb original drawing on paper. 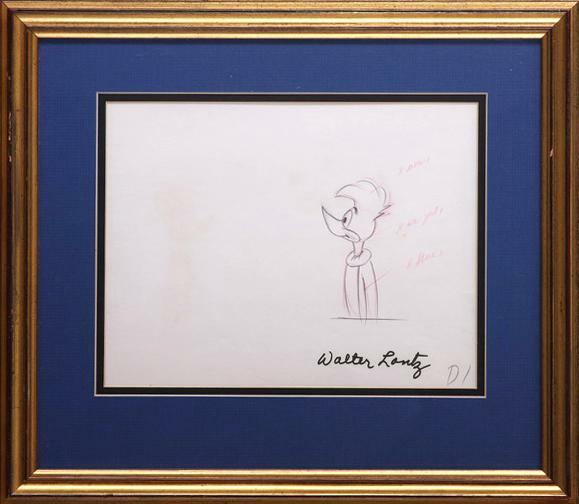 Hand signed by Walter Lantz. 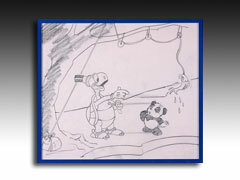 A preliminary drawing in pencil on paper for an animation cel. 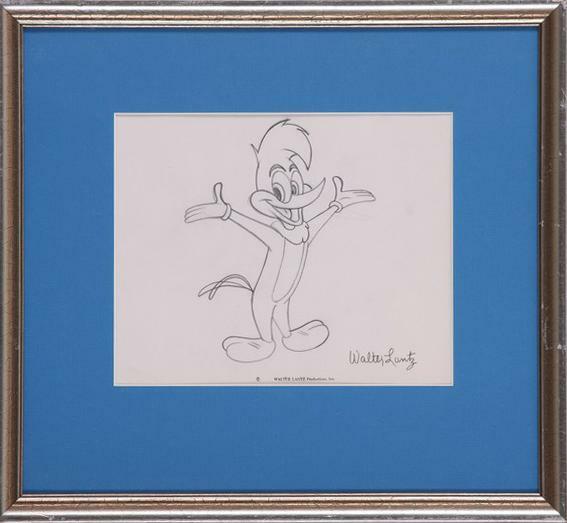 Hand signed by Walter Lantz. 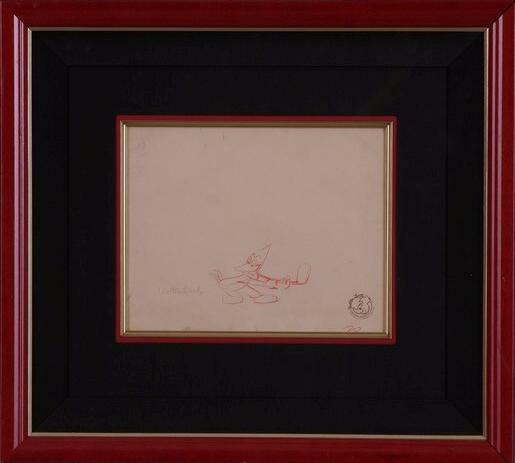 A preliminary drawing in red pastel on paper for an animation cel. 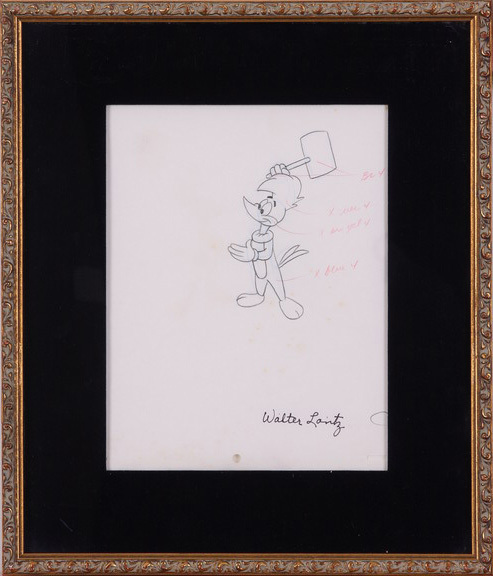 Hand signed by Walter Lantz. 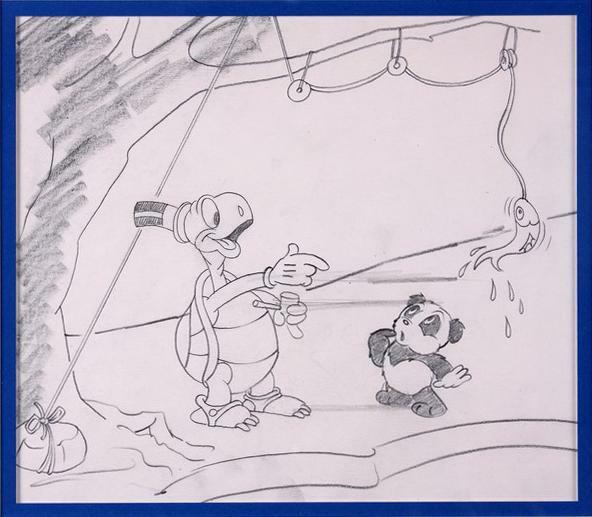 A preliminary drawing on paper for an animation cel. 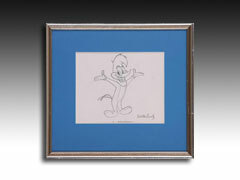 Hand signed by Walter Lantz. 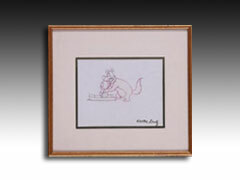 A rare original drawing circa 1930's. Hand signed by Walter Lantz. 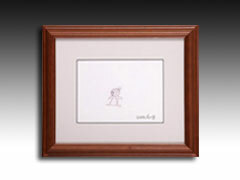 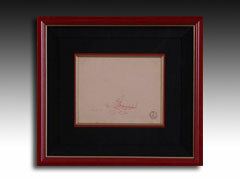 An original drawing on paper. 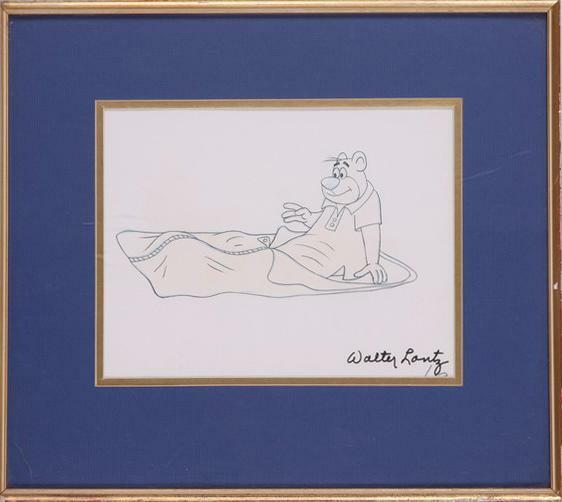 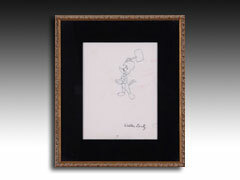 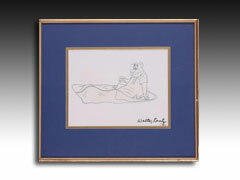 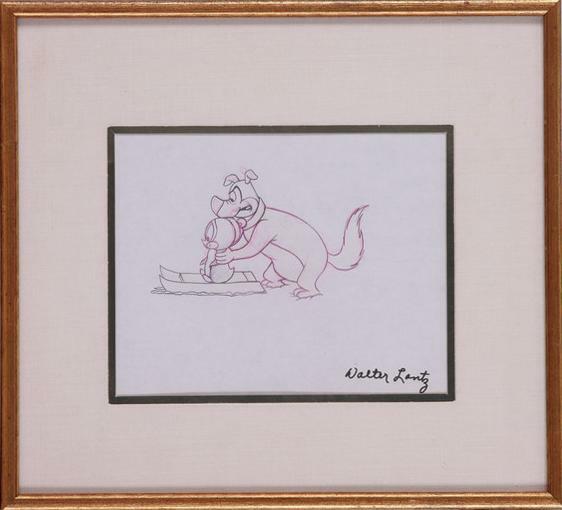 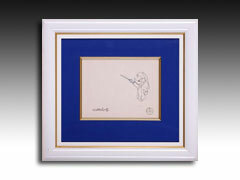 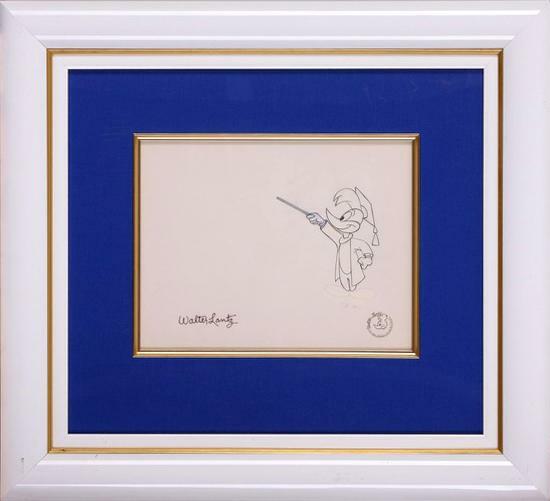 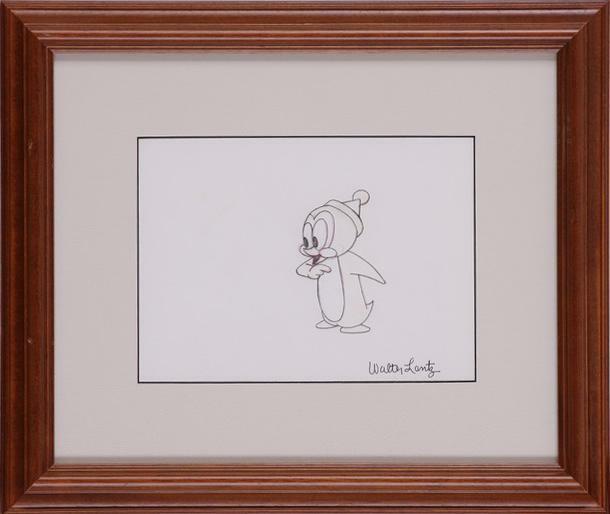 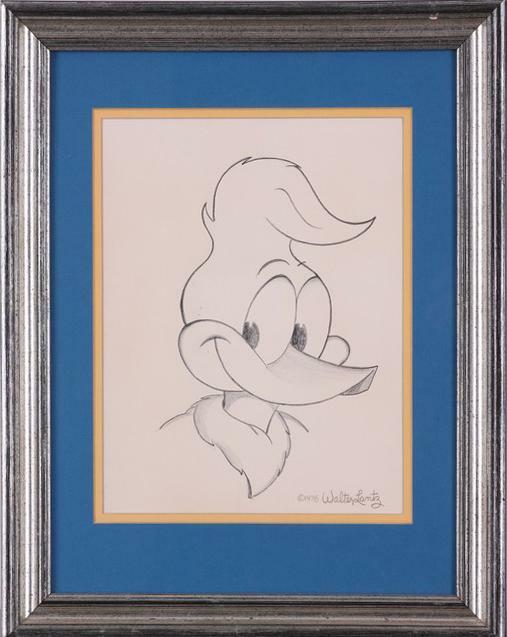 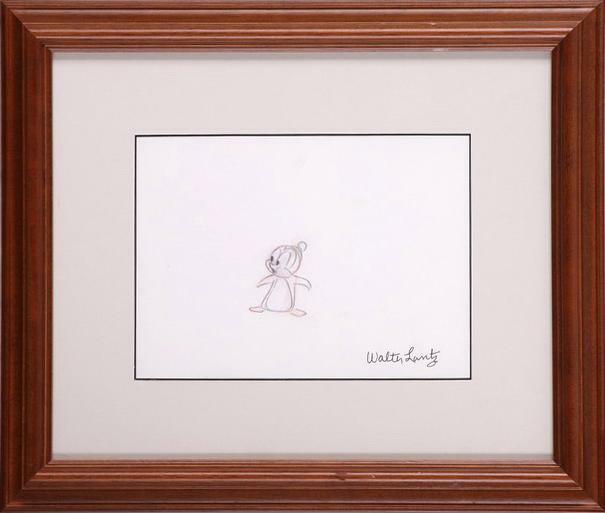 Hand signed by the artist, Walter Lantz.